You’ve found the perfect tenant, performed a tenant screening check, signed all the paperwork and removed your unit from the rental market…then you see his three “babies”, a trio of growling pit bulls perched on your patio. Pets of any type are a tricky proposition, but some dogs can actually be dangerous to you, your property and your other tenants. Learn more about what you can and can’t do to protect yourself from tenants with dangerous pets. Allowing some pets, but not others: As a landlord, you can choose to rent to people with pets, or bypass them entirely. Most pets are harmless and enhance the renter’s enjoyment of your home, but some breeds or particular dogs can be troublesome or impact your other tenants. Choosing to rent to owners of specific breeds is your choice, and restricting some breeds doesn’t make you an animal hater or an awful person; in some cases, it just makes you a savvy landlord. Your city has a breed ban in place: If your city or town is one that has chosen to ban select breeds, you have to comply with the law. Pit Bulls, Staffordshire Terriers, German Shepherds and Dobermans top the list of banned breeds, but there are about a dozen that are banned by communities that use Breed Specific Legislation (BSL). If you are renting your home to a pet owner, you should be familiar with your area’s breed specific laws; a quick call to your county animal control office should give you an idea of what to expect for your area. Your insurance company charges you more for some breeds: Some homeowner’s policies refuse to cover specific breeds entirely, while others charge a hefty premium. If your tenant’s dangerous dogs or other pets will end up boosting your insurance costs for years to come, it may be best to avoid the situation entirely. Your insurer can let you know what breeds it considers dangerous and will charge extra to cover. You’re worried about liability: While there are no actual laws that property owners are always liable when a tenant’s dog injures someone, there are plenty of cases that have ended up with liable landlords. From having knowledge of a particular dog’s aggressive tendencies to failing to repair gates or fences, landlords have been found liable for thousands in damages when it comes to dog attacks. Your own peace of mind: You may be a dog lover and even have dangerous breed pets of your own, but you never truly know how a dog will react to a new home or situation. You also have no way of knowing how your tenant has raised his pet, or even where the pet came from. Some rescues have come from terribly tragic circumstances and may be more prone to act out of fear or aggression than others. If renting to a tenant with a dangerous breed will give you nightmares, cause you extra stress or simply make you afraid to visit your property, don’t do it. There are plenty of renters with small or benign pets that can rent your property without causing you undue stress. If you don’t restrict breeds and you do rent to a tenant with so-called dangerous dogs, there are some ways to protect yourself and some potential issues to expect. 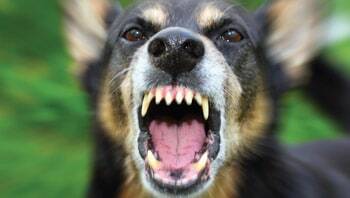 If you have a tenant in place who owns a large or aggressive dogs, they may scare away other potential renters. If the dog in question is aggressive towards other animals, you may run into noise ordinance issues if the dog in question barks whenever another pet walks by the home. Your lease is your best protection against dog-related issues. Screen your tenant thoroughly and meet the dog in question. Make sure that you write in the specific breed and the specific dog you are allowing, and spell out the consequences of poor pet management. If a neighbor or other tenant has a complaint, be sure to follow up; failing to do so could cause you to be held liable in court if a problem occurs. Taking extra precautions during the application and leasing process can protect you, your property and your other tenants in the long run.